One morning, I used leftover quinoa in my porridge instead of oats and it turned out heavenly. A delicious and light way to start the day, you can top it off with fresh fruit, nuts and seeds. I can not stress enough the importance of breakfast and many don’t know that by eating breakfast, you actually lose weight. How is this possible? Well, eating breakfast tells your body that you are awake and speeds up metabolism. People who skip breakfast experience low blood sugar which often results in binging and eating more than if you ate regular meals. People who eat breakfast tend to have a clearer mind and can make healthier diet choices. Even if you are in a hurry, at the very least you can grab a piece of fruit. 1. Combine the quinoa and coconut beverage in a small pot and bring to a boil on medium heat. 2. 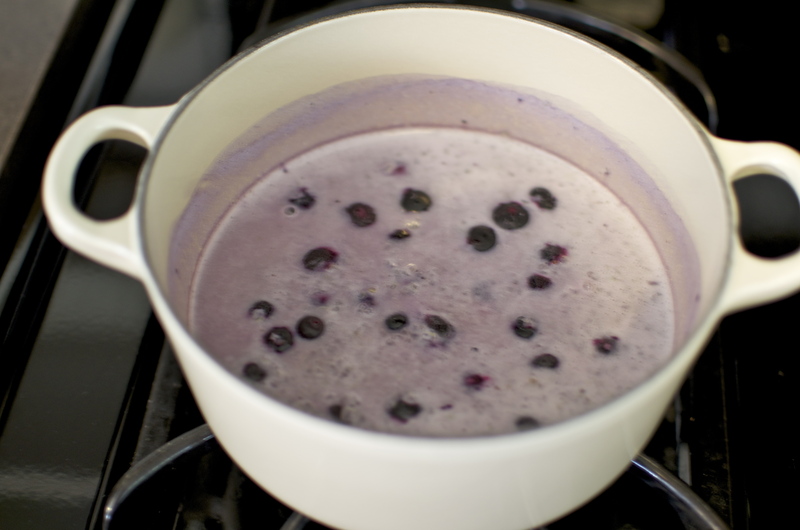 Add the blueberries and cook until soft, about 2 mins. 3. Add the maple syrup and cardamom. Scoop into a bowl and sprinkle with the pecans and hemp seeds. 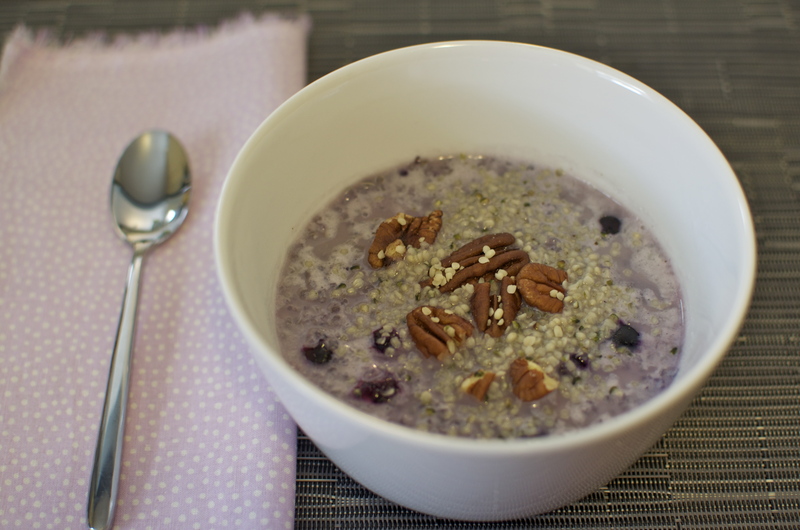 You are currently reading Blueberry Quinoa Porridge at Coriander Kitchen.